Guests will receive a warm welcome to this lovely, budget, family-run guest house located in the immediate surrounding of Lucca city centre (5 minutes on foot). All major tourist attractions, monuments and the best pubs, restaurants and shops are located in the very compact Town Centre instead of being scattered around as they are in many other cities. The guest house is located very close to the city walls of Lucca, surrounded by the countryside landscape AND guests can use public transports like the train without any problem! Trains leave almost every hour to different cities like Florence, Pisa, Viareggio, Siena etc. And what's more this location can give guest a cheaper price for the rooms they choose!! Anyway, you can rent a bike, and if you travel by car the nearest motorway is just 2 minutes from the guest house! The local staff will be at your disposal for further information if you need it and they will be pleased to chat with you in your language if you prefer (English and Spanish). Monuments: Duomo (11th-13th century, Romanesque) housing the Tomb of Ilaria del Carretto, a sculptural masterpiece by Jacopo della Quercia (1408), church of S. Maria Foris portam (13th-16th century), Case dei Guinigi (a complex of 14th century towers and buildings), church of S. Michele in Foro (12th-13th century, Pisan-Lucca architecture with a rich interior), church of S. Frediano (12th century, Romanesque, with a large mosaic of the Ascension, 13th century on the façade), Palazzo Mansi (17th century), Palazzo Pretorio (16th century), Villa of Paolo Guinigi (15th century), remains of the Roman amphitheatre (structure of the present Piazza del Mercato). ROOMS ARE DECORATED IN CREAM/MAGENTA/BLUE LIGHT COLOURS AND RUSTIC WOOD REFURBISHED. GUESTS ARE PROVIDED WITH TOWELS, HANDTOWELS, HAIRDRYER, EXTRA BLANQUETS. Lucca is situated 19 m. above sea level on an alluvial plateau, to the left of the Serchio river, not far from the Tyrrhenian coast. 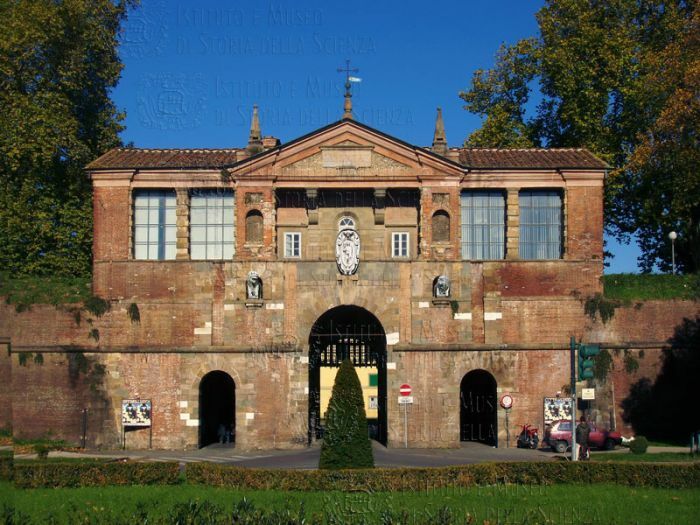 An important road junction in Roman times, Lucca was the capital of the Lombard Duchy of Tuscia and subsequently (8th century) the seat of the Carolingian Marquisate of Tuscany. 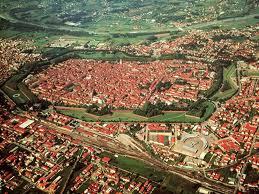 Established as a free municipality (early 12th century), the town grew in political and economical importance, though it was often troubled by internal disputes and rivalry with Pisa. In the first half of the 14th century, it was under various Signorie and in 1369 it became a Republic remaining independent, except during the Guinigi Signorie (1400-1430) and the Napoleonic period, until 1847 when it was included in the Grand Duchy of Tuscany, from then on sharing its fortunes. The town lies within a circle of 16th century walls which, in the 19th century, were transformed into a tree-lined avenue; it has therefore maintained its characteristic medieval structure. Lucca Town Centre (inside the Walss) can be reached very easily from most directions via public transport (BY TRAIN IT TAKES 4 MINUTES!!) or by car (10 MINUTES!!). It literally takes a few minutes to walk (400 metres!) 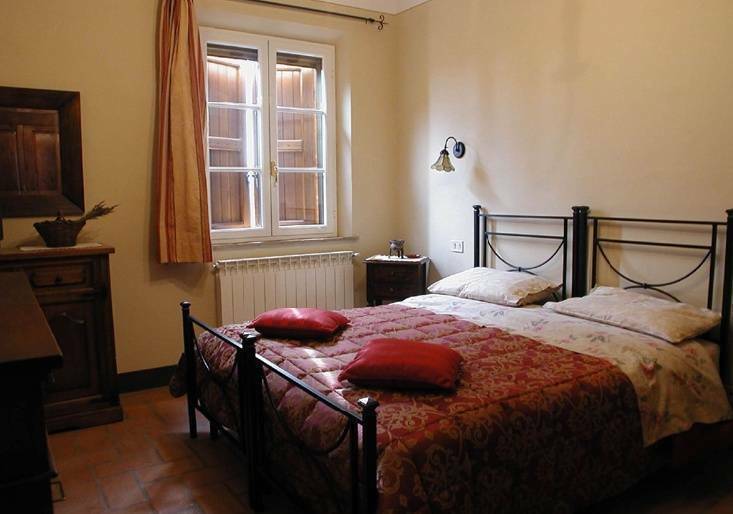 from the guest house to the nearest train station where trains leave almost every hour connecting to Lucca Town Centre, (the station is just outside the Town Walls – S. Peter's Gate), and to other major cities like Pisa, Viareggio, Florence, Siena etc. Because is so compact you don't really have to choose a hotel in the Town Centre (inside the Walls) to be close to artistic monuments, attractions, shops and restaurants. Consider a hotel 5-10 minutes away from as hotels just outside of the centre are still easy to access but are usually less expensive and are often in quieter locations and sorrounded by countryside landscape. 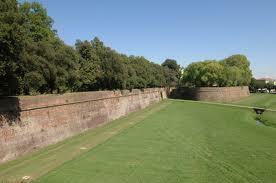 Lucca is well served with regular and inexpensive public transport and it only takes a few minutes to get to and from. Right close to the city walls. Close to the town centre - 4 km from the walls of Lucca (3 mintes by trains - 10 minutes by car and 15 minutes by bike) - 2 minutes on foot from the train station - once you arrive at the train station in Lucca take a train to Tassignano - trains leave almost every hour straight to Tassignano (3 minutes by train) - At Tassignano station go down the street up to the T -conjuction and turn on right. Carry on straight for 300 metres until you see on your right a white building half covered with ivy plant with a green-wooden door. Opposite to the building there is a brick-made building. The guesthouse is near the town centre of Lucca, the motorway A11 connecting with Viareggio, Pisa and Firenze - Near the train station of Tassignano - just few minutes on foot - where trains to Lucca and to other major cities leave almost every hour!